CC 2019-20 registration — Rootwood Cider Co. Thank you for choosing to be a part of the Coaster Club! We appreciate your support. Please take a look at the new options for this year’s gift. New options for Coaster Club gift. Please review and select an option in the form. 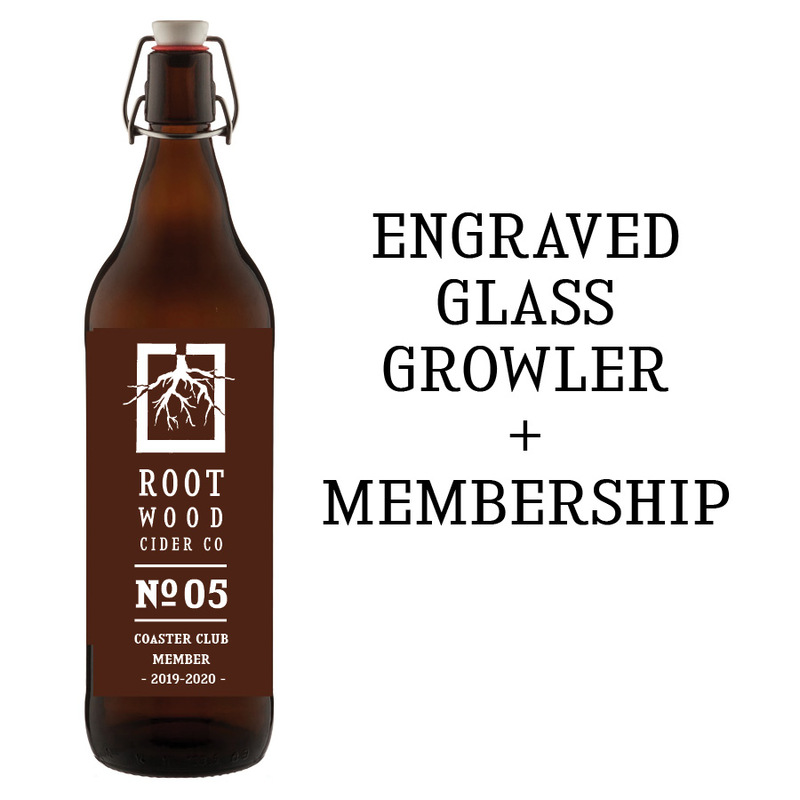 Official growler - 1 Liter engraved glass growler, personalized with Coaster Club number, featuring $12 fills on any variety. No additional cost beyond membership dues. Recycle growler - Renewing members may choose to keep their same growler, and continue to receive $12 fills. If choosing this option, renewing members will receive a gift certificate for two complimentary 1 Liter growler fills in lieu of new growler. Must keep same Coaster Club number. Our default method of communication is e-mail. Would you like to be added to our members only facebook page also? Mailing address so we can send you something around the holidays! Any questions or info to share? Online - you'll see the link for payment at our Square store after you click "submit"
Please follow this link if you would like to complete payment online, on our Square online store. Renewing members can use their promo code (sent via e-mail) at checkout to receive special rate.